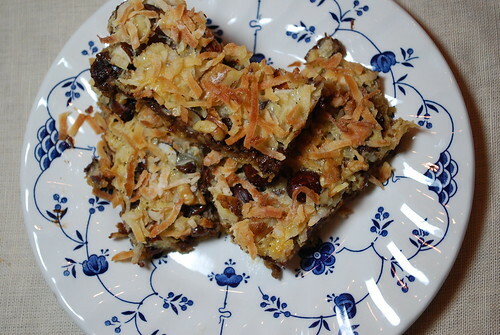 « Blueberries, Bananas, and Oats – Oh My! Made dessert for tonight with some goodies I had in the pantry . . . 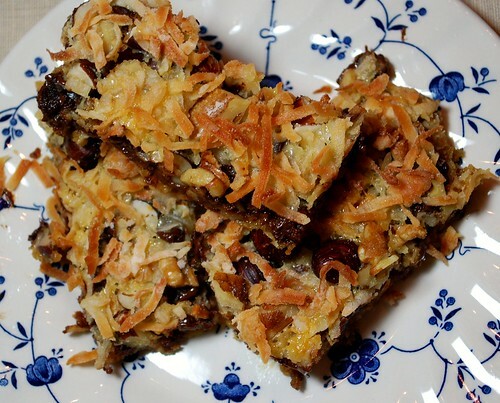 It had been years since I made the Magic Cookie Bars whose recipe is found on the back of the Eagle Brand Sweetened Condensed Milk can. I used 3 different kinds of nuts in these in order to really highlight the wonderful flavor of these classic treats! Preheat your oven to 350 degrees. Apply cooking spray to a 9″x13″ pan and set aside. In a small mixing bowl, combine graham cracker crumbs and melted butter. Press the mixture into the bottom of the prepared pan to form a crust. Pour condensed milk evenly across the crust. 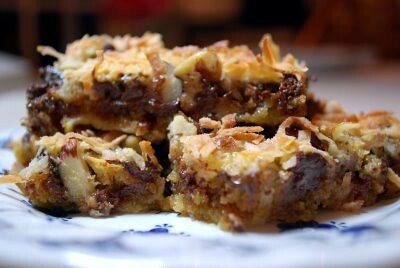 Layer remaining ingredients over the condensed milk. Bake for 25-30 minutes, or until topping is golden brown. Cool and slice into 1″x3″ bars. Enjoy!